Offering something for everyone, the resort embraces the history of the region while forging new groundbreaking projects designed to stay a step or two ahead of the competition. With an eye on the future, the resort recently completed phase two in the expansion of its destination campus with the construction of The Alder, a 101-room hotel adjacent to the resort, which includes New York’s first Topgolf Swing Suite. The hotel offers guests an exciting new way to experience the picturesque beauty of the Catskill Mountains and Resorts World Catskills’ casino resort campus. The campus will expand further this summer with the opening of a golf course along with the Kartrite Hotel and indoor waterpark. In addition to providing the casual gamer with all of the options they will ever need, the casino goes to great lengths to please and pamper their high rollers, or “whales” as they are known in casino lingo. 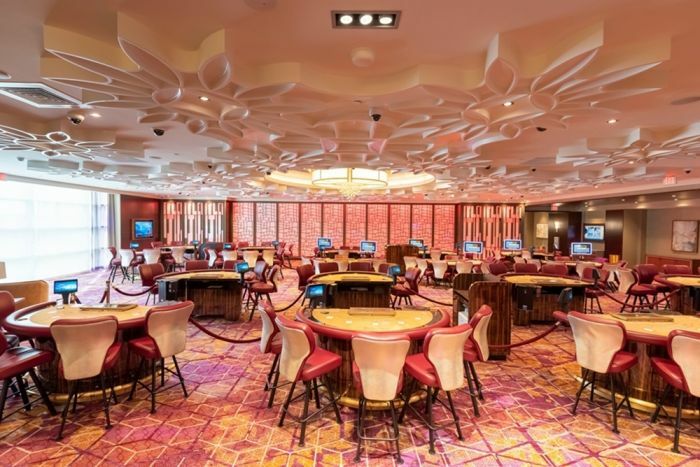 Often flying in from New York City or other major metropolitan areas directly to the resort’s private helipad, these major league gamblers are whisked to a third-floor private area where a curated gaming experience awaits. It’s not uncommon for a single hand of poker to be played for stakes of $10,000 or more. Also, the Asian population will discover their own specially designed space for their favorite games which occupies about 30 percent of the main floor. Each game is supervised by bi-lingual casino employees. 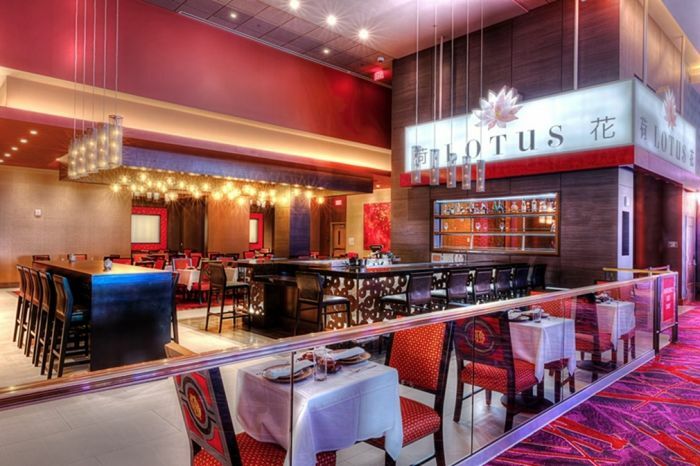 The area houses several Asian restaurants including Lotus, an upscale fine dining Asian eatery overseen by a Hong Kong trained chef. The resort has quickly become a culinary destination resort for foodies who appreciate the wide array of dining options. With ten distinct dining experiences on site, guests can choose from the diner-like 24/7 Bistro which puts a creative twist on comfort food classics, or the highly acclaimed Cellaio, celebrity chef’s Scott Conant’s restaurant which showcases Black Angus beef dry aged for 21-28 days. The result is the most succulent, melt-in-your-mouth steak this side of Texas. Don’t miss the creamy Polenta Boscaiola with bacon, truffles and mushrooms that burst with a combination of delightful flavors. Guests can select from more than 500 wines. Guests can pamper themselves at The Crystal Life Spa, the Feng Shui-inspired spa made famous on Crystal Cruises. The 8,000 square-foot full-service spa features six treatment rooms and a wide array of eastern and western treatments including massages, facials and body treatments. Guests can also enjoy manicures, pedicures, hair treatments, and eyebrow shaping at the salon, and they find their own oasis in the relaxation lounge. In the mid-20th century the Catskills personified the epitome of glitz and glamour by serving as a favored destination for vacationers from New York City. The region's many large resorts gave countless young stand-up comedians an opportunity to hone their craft. 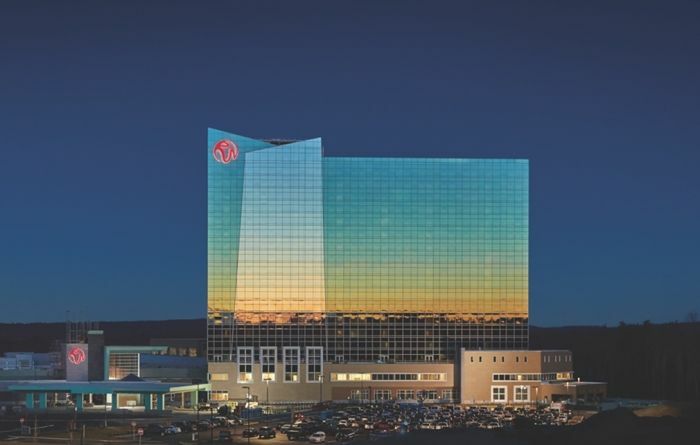 And while that bygone era may never be duplicated again, Resorts World Catskills Casino Resort is doing more than its share to ensure that the air of excitement has returned to the region in full force.